The Eagle HT fifth wheel ensures you always travel comfortably, no matter your destination. Built in shorter lengths and lighter weights to match up with today’s half-ton trucks, Eagle HT fifth wheels offer incredible value without sacrificing function or quality. 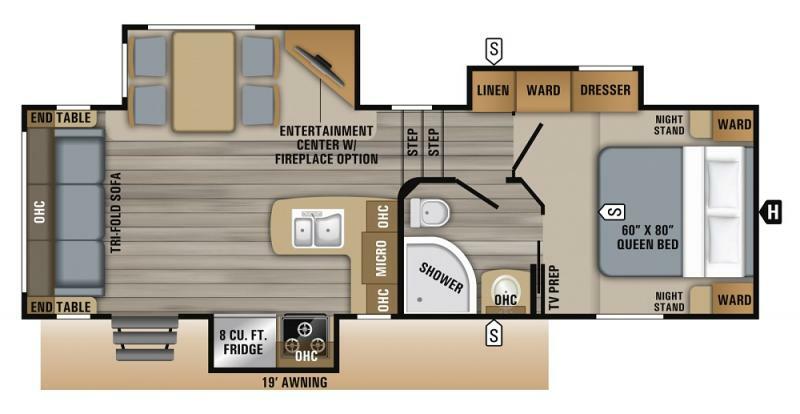 Contact Affinity RV for details on our 2018 Jayco Eagle HT 2.5CKTS Fifth Wheel and start your RV dreams today! Exterior Travel Length (Pin box to bumper)	28' 5"
Total Exterior Length	29' 5"
Exterior Height with A/C	147"